Naygayite is a complex intermetallic mineral containing gold, lead, tellurium, and antimony (Effenberger et al. 1999). 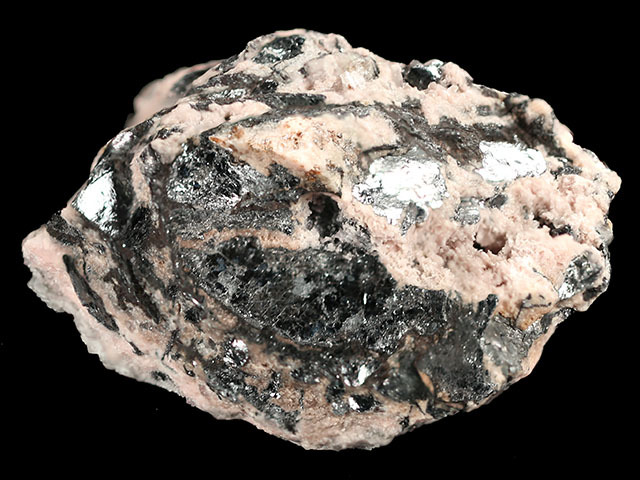 Haidinger (1845) named the mineral after the Hungarian name (Nagyág) of the type locality. The mineral has metallic bonding, so the crystals are a bit ductile. This makes the crystal structure difficult to determine because of its easy deformation during sample preparation. 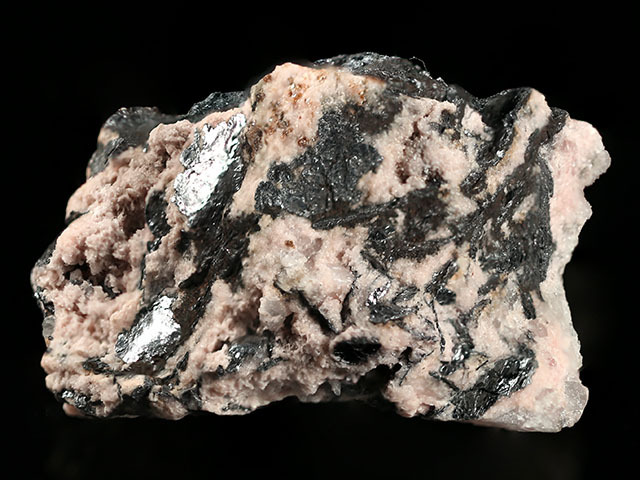 This specimen consists of foliated nagyágite embedded in pale pink rhodochrosite. The nagyágite cleavages reach 2 cm in this example. Rich and rare!